Whether in water or on dry land, on a surfboard, snowboard or bike: when doing sport, having the right equipment is half the battle. It’s worth investing in the right shoes and outfit, as functional clothing is an essential part of sport, and the same rule applies to eyewear. 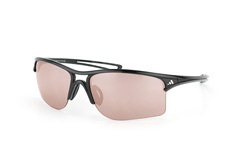 Sports sunglasses ensure not just a clear view, but also protection against injury. However, everyday sunglasses aren’t really up to the job. 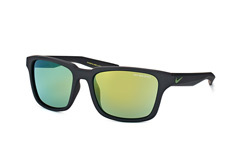 Sunglasses specifically designed for sport have frames made of special materials, while different models are better suited to different kinds of sport. When Skiing you are often exposed to various weather conditions. 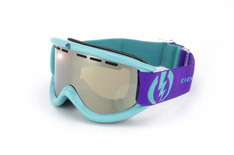 Ski glasses need to have quite a tight fit to protect from both snow and sunlight. For this reason they have padding to ensure that they protect the entire width of the face. What’s more, in snowy conditions the eyes have to contend with the additional factor that snow reflects the rays of the sun. 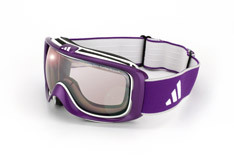 For skiing or snowboarding in sunny conditions it’s therefore best to go for category 3 dark brown or dark grey lenses. 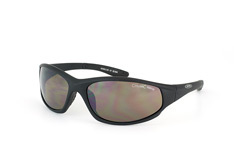 Polarised lenses that reduce glare are also recommended. 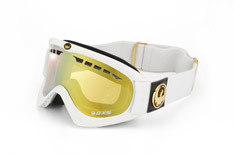 If you’re skiing in more overcast conditions, yellow or orange lenses are a smart choice, as they heighten contrast perception. 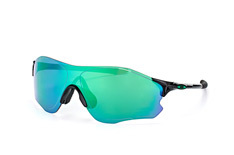 Blue lenses are ideal in changeable conditions. Nowadays quality sunglasses tend to have double lenses so that they don’t fog up so quickly in the cold. This feature also protects you in case of a fall, as only the outer lens breaks. Air vents help to ensure proper ventilation. Water, like snow, can be the cause of highly bothersome glare. 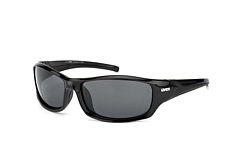 In the case of water sports, sports glasses with a polarising filter can provide the solution. This filter improves distance viewing, minimises glare and heightens contrast. It also helps you to recognise objects that are under water more clearly. Category 2 lenses, or category 3 in more southern regions, are ideal on a boat or surfboard, with grey, green or brown lenses representing the best choice for clear vision. Sunglasses that float or have a headband or strap help to make sure you won’t lose your glasses if you leap or tumble into the cool water. 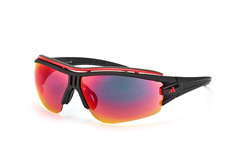 Sports sunglasses for cyclists, joggers or inline skaters have a few things in common. They tend to be strongly curved so as to protect the eyes from wind when moving at high speed. Yellow, red and orange lenses are ideal because they heighten contrast, which is important for recognising bumps or other irregularities on your path. In bright light conditions grey lenses are a smart choice, as they reduce glare without distorting colour perception. However, to ensure you can still see well under a cloudy sky or in low light conditions, the lenses shouldn’t be too dark. 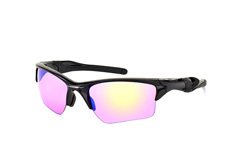 If you’re an enthusiastic hiker or mountain climber, you should go for sports glasses with lens category 3, or even category 4 in areas with glaciers. As the sun is more intense in mountainous regions, the frame should have quite a tight fit to prevent stray light from reaching the eyes. Grey, green or brown lenses are particularly suitable, as they allow for accurate perception of colour. 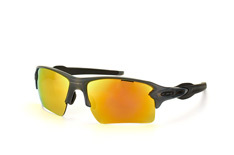 Sports sunglasses that provide a broad range of vision are ideal for golfers. Rimless or half-rim models are also a good choice as they don’t get in the way when you’re looking down. Violet, orange-brown and yellow lenses help to ensure high contrast vision on green grass and can be worn in both sunny or cloudy conditions. Sports glasses should be light and have rubber temple tips and nose pads. These elements are essential for comfort and to minimise pressure or slippage. The temple ends should fit the natural curvature of the ear for a stable fit. An additional option is a rubber band to secure the glasses on the head. Lenses and frame should ideally be made out of tough, light plastic. Metal and glass increase the risk of injury. A round form that encloses the face provides the best protection against wind, water, sun and dirt. However, it’s important that the glasses don’t touch the eyelashes. Make sure the glasses are positioned correctly, otherwise the lenses may steam up or wind may cause your eyes to water. 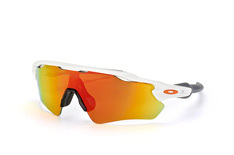 Choose a lens colour and tint that is suited to the particular sport, otherwise your eyes will be easily irritated. 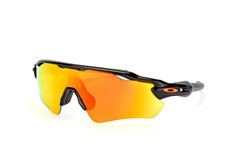 Many sports sunglasses allow you to switch lenses to match the weather conditions. If you are short- or long-sighted you can attach optical clips that match your prescription to the inside of the lenses. 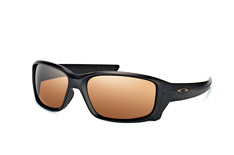 Alternatively, many models are available as prescription sunglasses.